You and I both know that we do much better work on things when we give it our all. If we’re not fully committed, we’re more likely to try to get by with just the bare minimum instead of putting our heart and soul into something to make it really extraordinary. But isn’t that what we really want out of our lives– something extraordinary? If we want to get more, we’ve got to give more. We need to be all in. Unfortunately, it’s all too easy to go through life on autopilot. Being all in takes intention and purpose. We have to know what direction we’re headed in, what we’re aiming for, and why. It requires vulnerability and authenticity, being willing to be our truest selves, not holding back. That’s no insignificant risk, one that we often feel deeply. But that’s the only way to really live. If we don’t let others get to know our hearts, we’ll never really get to know them. And what’s life without any real connection? We can’t hope to really experience joy, love, friendship, or wonder without allowing ourselves to truly connect with the world and the people around us. If we want our relationships to really thrive, we need to be open and authentic. We need to be present, giving our friends and family our attention and putting effort into maintaining those relationships. They don’t just happen, and they can really suffer when we only give them a half-hearted effort. The same goes for our work. Whether it’s our day job or a side hustle or hobby, the end product is directly related to the amount of heart and effort put into it. If we want to do a good job, we’ve got to be willing to put in the time and the work. 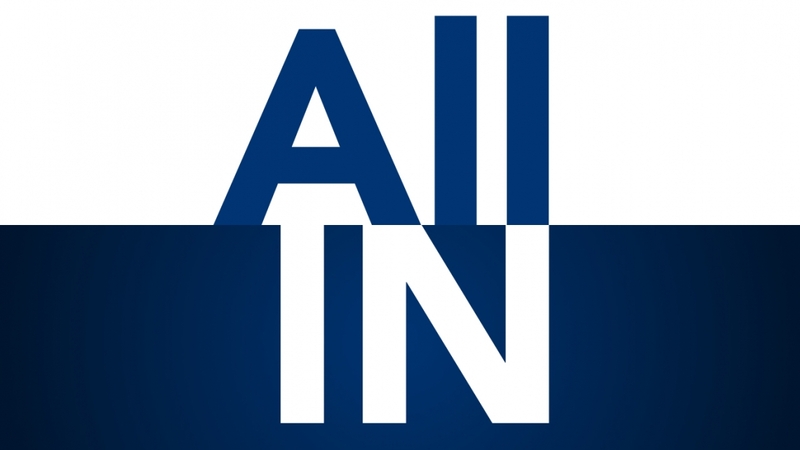 But ultimately, if we want to live a truly satisfying life, we have to be willing to be all in. We have to be okay with getting dirty, entering into the messy, nitty-gritty moments of life as well as the beautiful, joyful experiences. Both are necessary parts of real life, and both require us to engage fully with the world around us and with our own hearts. If we distance ourselves from the bad things to avoid feeling the full brunt of pain and disappointment, we won’t be able to fully bask in the greatness of joy and celebration when the good things happen. The two are inextricably linked; we can’t dull one without dulling the other. And I don’t think any of us want to live a dull life. We only get one chance at life, and there’s no guarantee that we’ll even get another day. So we’ve got to make the most of the limited time we’re given, really investing in the lives of the people around us, living intentionally, and not being afraid to jump in with both feet. So are you all in? Are you willing to give your life your all? Will you jump in? I’d love to hear from you in the comments!